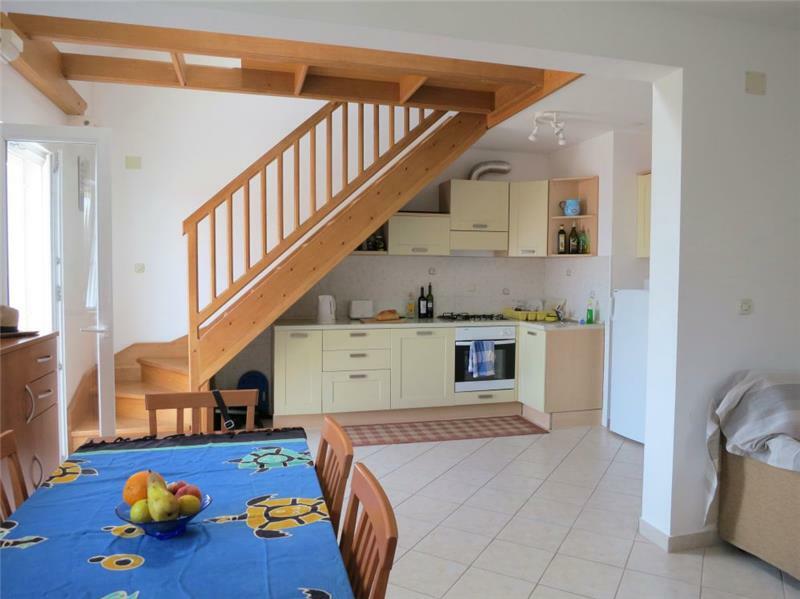 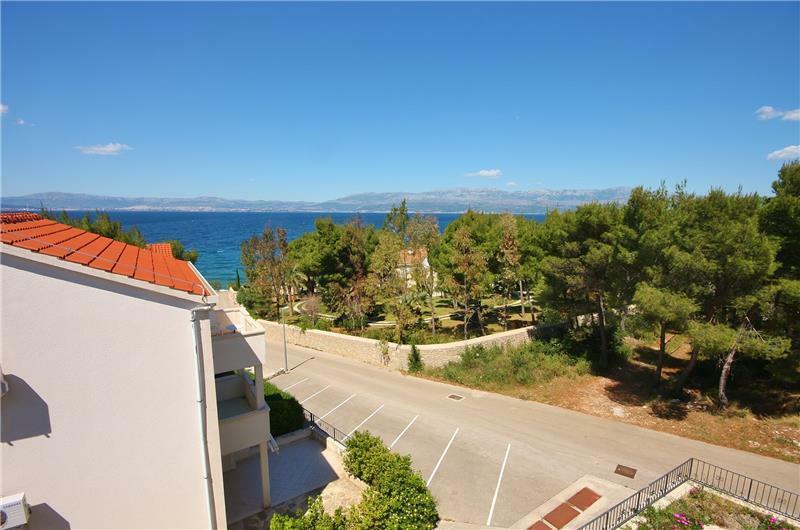 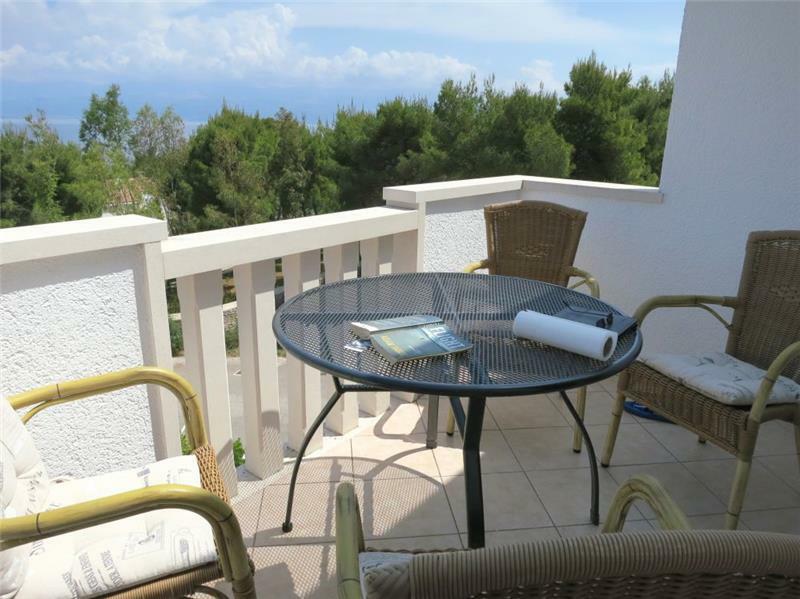 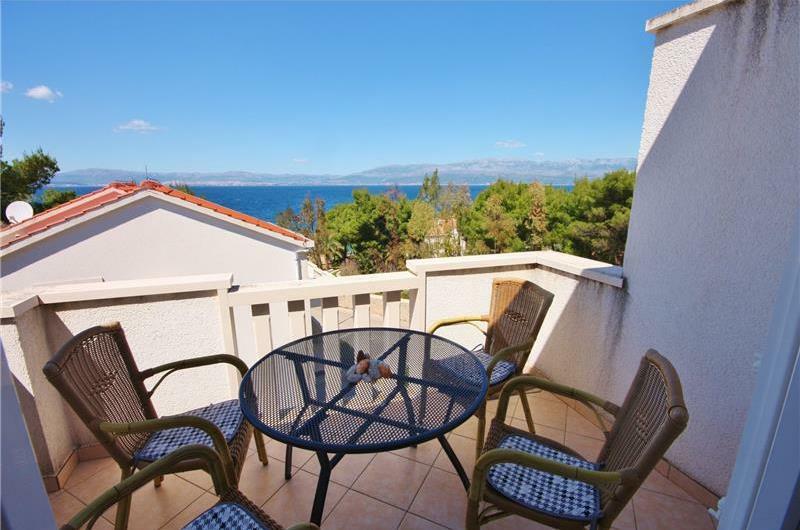 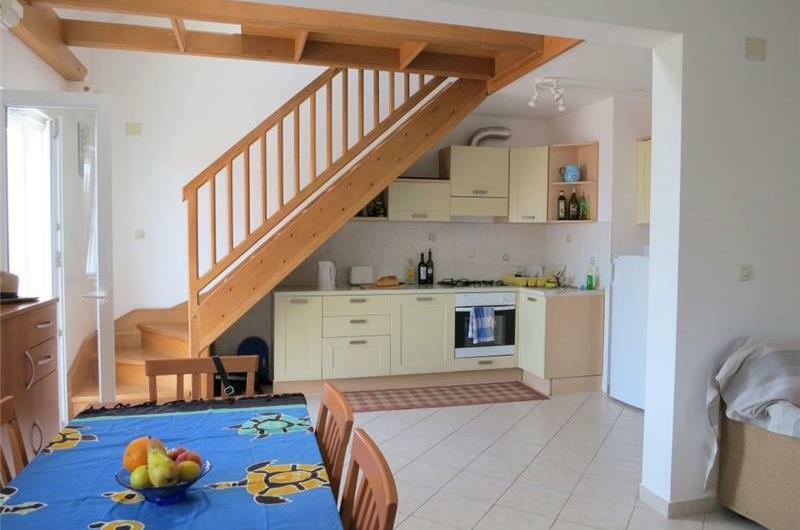 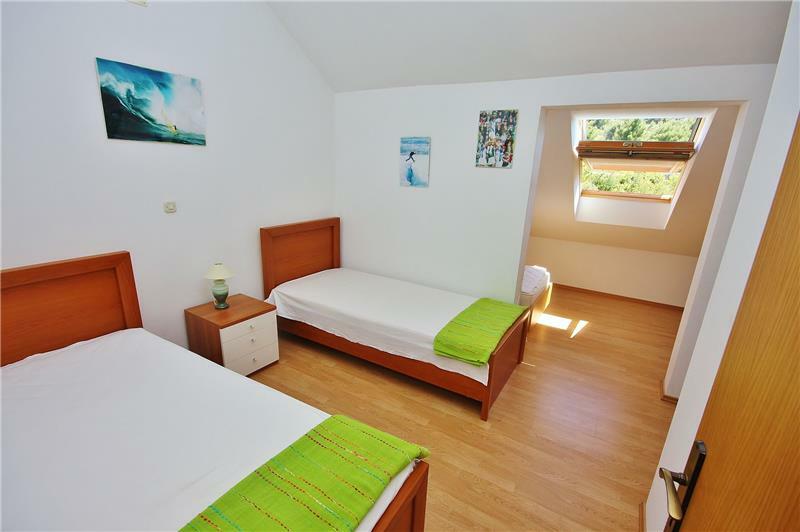 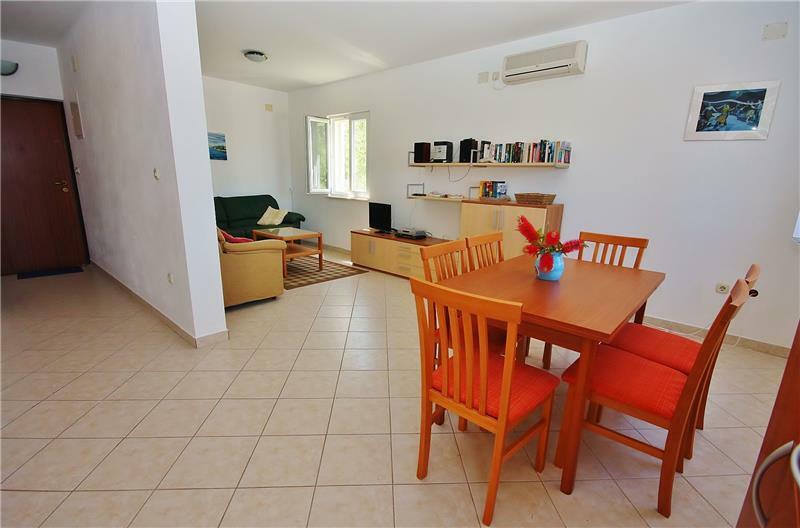 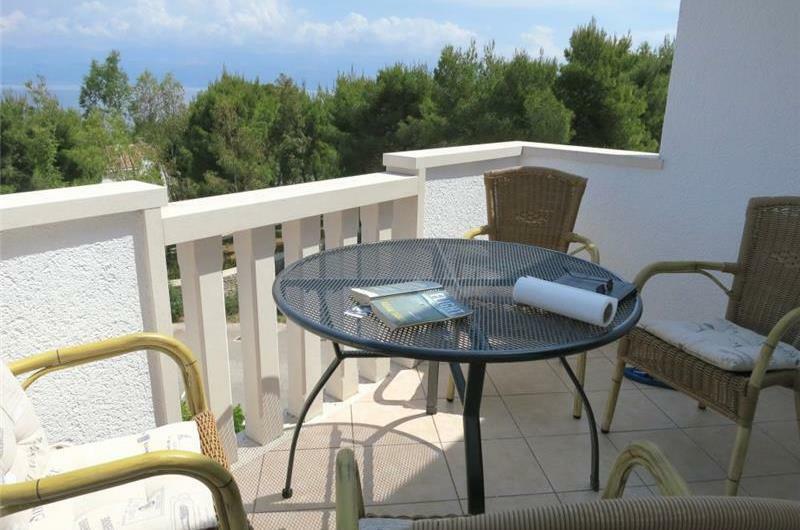 This 3 bedroom apartment is set amongst pine trees in the pretty harbour town of Sutivan on Brac Island and offers guests the chance to enjoy an authentic island experience at this seaside town edged by crystal clear waters. 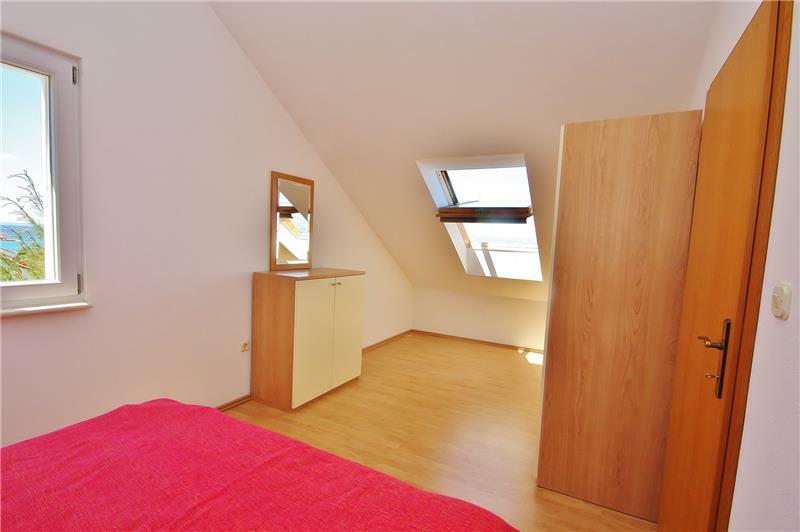 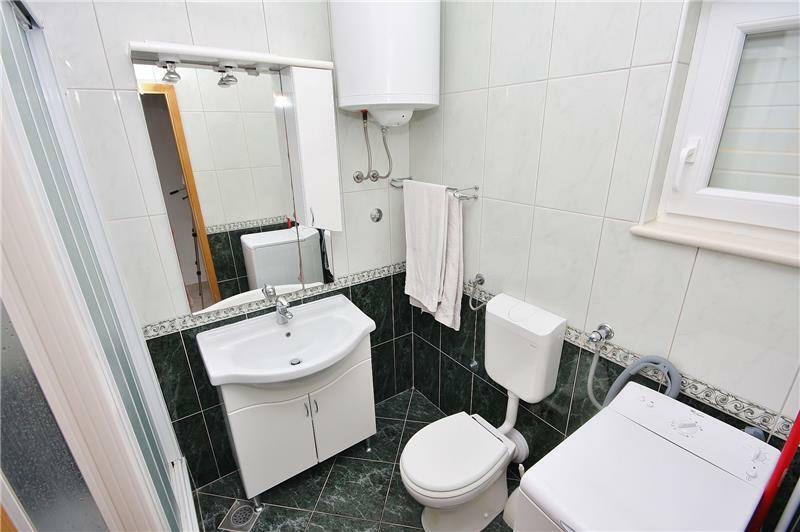 The property is approached from the rear where there is also a parking bay. 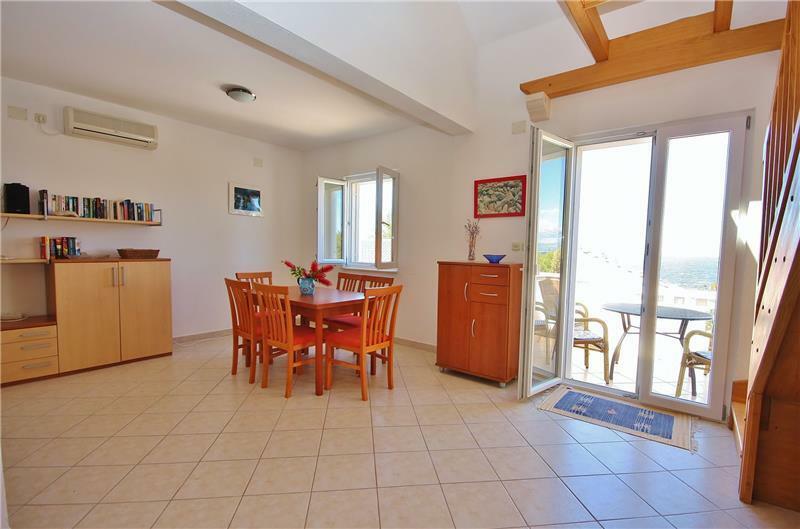 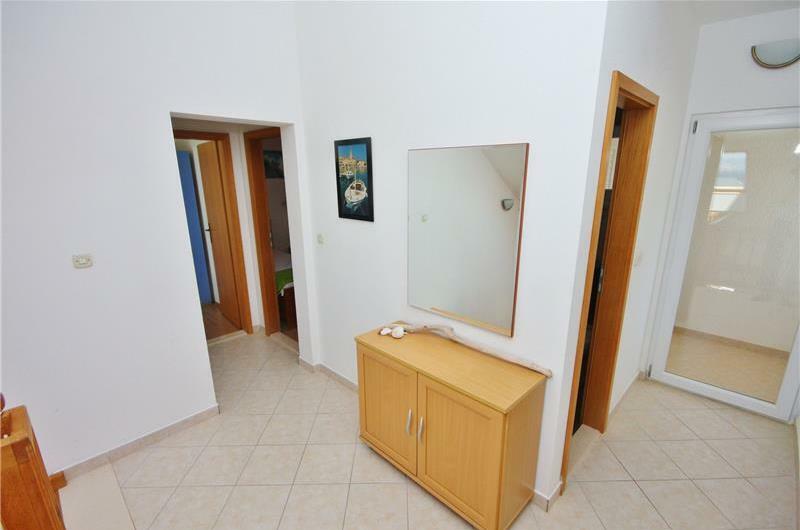 The apartment is located on the 2nd and 3rd floor (no lift) and guests enter into a short corridor which leads to a spacious open plan kitchen/diner/lounge with doors opening onto a sea facing balcony. 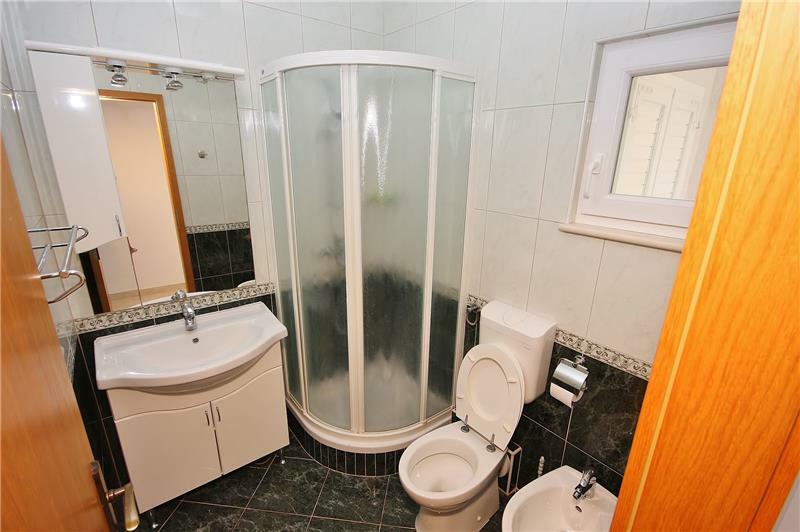 There is also a separate shower room on this level. 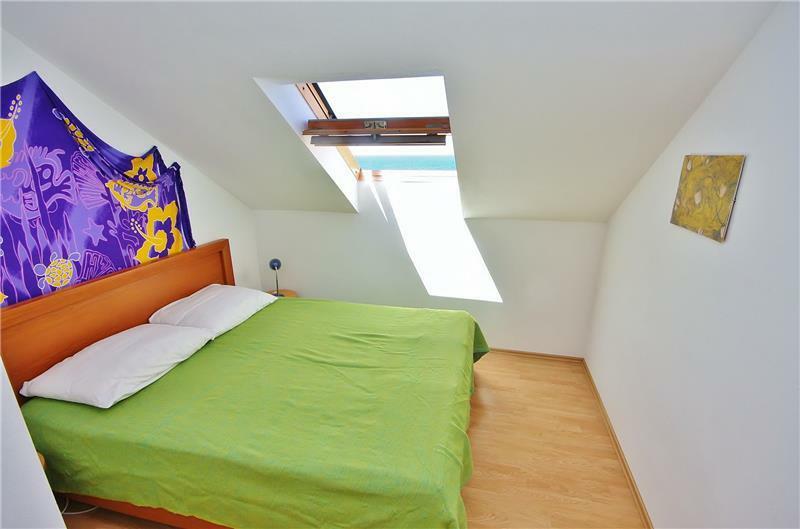 The upper part(eaves) features 2 x double bedrooms, a triple room with 3 x single beds, a shower room and a door leading out from the hallway to a rear park view facing balcony. 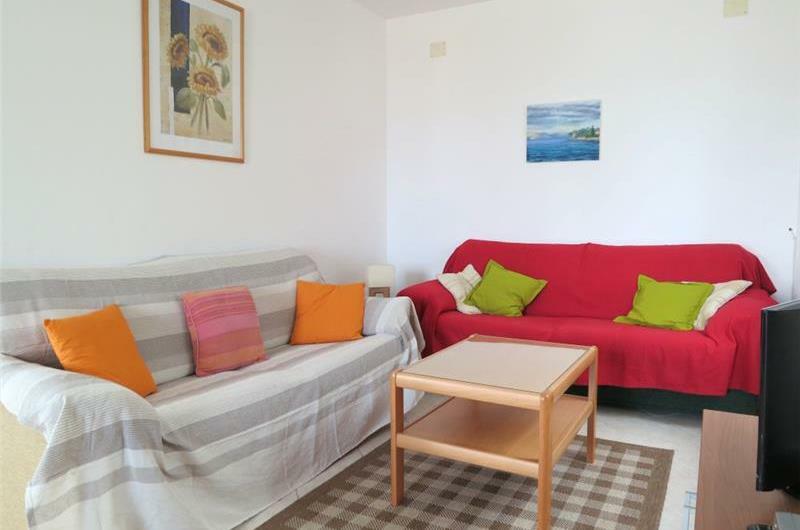 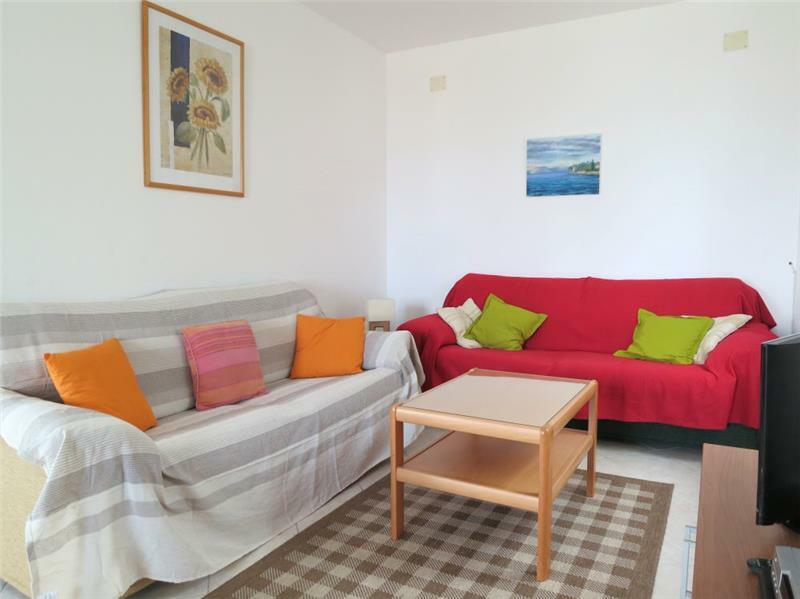 The apartment can accept as a maximum 6 adults and one child under 12 and would suit guests who would like to be within an easy 10 minute walk from shops, restaurants, cafes and the many beaches and coves located here. 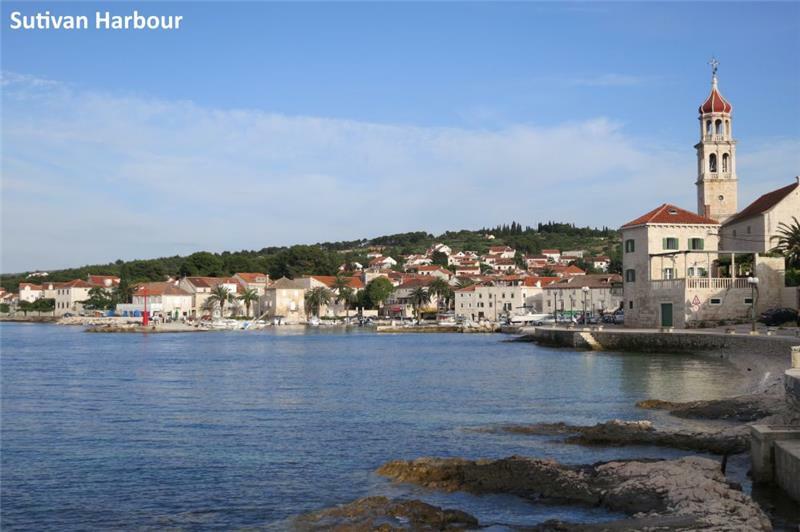 Brac Island is a straightforward 45 minute ferry journey from Split harbour from where a frequent ferry service to the island operates. Other areas of interest on the island include Zlatni Rat Beach at Bol and Vidova Gora - which is the highest point on the island. 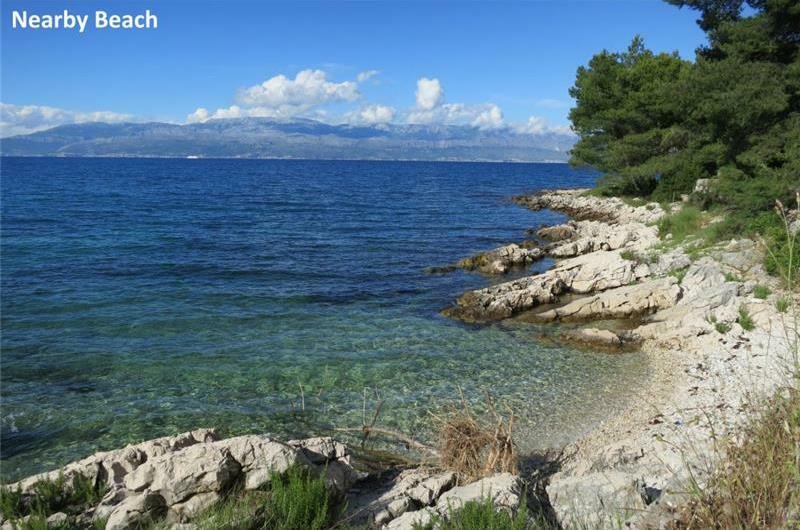 Trips/excursions to Split city and other islands are all possible from Brac island. 29 June - 07 Sept.